The benefit to having a group is that you can then run one financial report for as many entities as you wish. This will bring in all values across the farms, and will include any consolidation or inter-entity transfers that you've done. The three reports available in your group are your profit & loss, cash flow, and variance (P&L / CF). 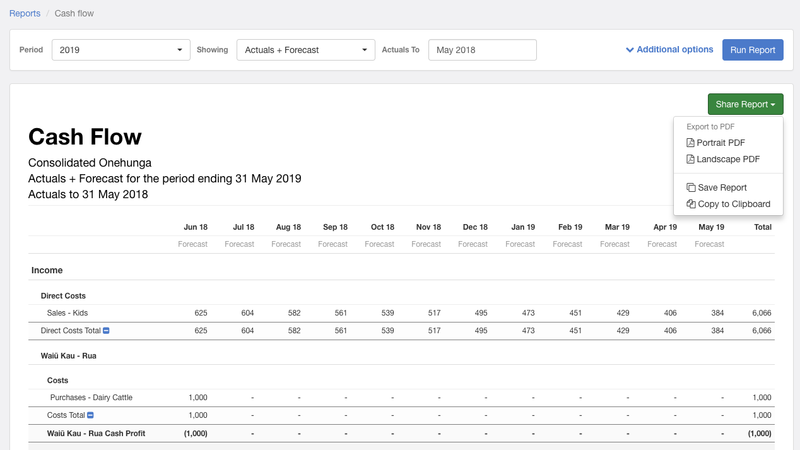 Each financial report has the same reporting options as the reports found in an individual farm, and it also has the same sharing options (such as export to PDF, save to farm, and copy to clipboard).